Wangari Maathai, founder of the Green Belt Movement and the first African woman to win the Nobel peace prize, died of ovarian cancer on Sunday, September 25, 2011 at the age 71. She was known as Earth Mother and a True African Heroine. She was Kenya’s eco-warrior and an environment visionary. World leaders paid her tributes. In 2009, Wangari (Africa’s Tree Woman) was featured on CNN’s “Revealed” Show. See the video. Wangari was an environmental and political activist. She was educated in the United States at Mount St. Scholastica and the University of Pittsburgh, as well as the University of Nairobi in Kenya. She founded the Green Belt Movement, an environmental non-governmental organization focused on the planting of trees, environmental conservation, and women’s rights. She received the Nobel Peace Prize for “her contribution to sustainable development, democracy and peace.” She was an elected member of Parliament and served as Assistant Minister for Environment and Natural Resources in the government of President Mwai Kibaki between January 2003 and November 2005. Not bad for the woman who was born in village of Ihithe. In 1943, her family relocated to a white owned farm where her father found work in Rift Valley. Then in 1947 Wangari returned to Ihithe with her mother because her two brothers were attending primary school as there was no schooling available on the farm where her father worked. Her father remained at the farm. When she was eight, Wangari joined her brothers at Ihithe Primary School. At the age of eleven Wangari moved to St. Cecilia’s Intermediate Primary School, a boarding school at the Mathari Catholic Mission in Nyeri where she studied for four years. She became fluent in English and coverted to Catholicism, taking the Christian name Mary Josephine. She also was involved with the Christian society known as the Legion of Mary, whose members attempted “to serve God by serving fellow human beings. Studying at St. Cecilia’s, sheltered Wangari from the ongoing Mau Mau Uprising, which forced her mother to move from their homestead to an emergency village in Ihithe. When she completed her studies in 1956, she was rated first in her class, and was granted admission to the only Catholic high school for girls in Kenya, Loreto High School Limuru in Limuru. She graduated in 1959 and was planning to attend the University of East Africa in Kampala, Uganda. However, toward the end of the colonial period of East Africa, Kenyan politicans were proposing ways to make education available to promising students. John F. Kennedy who was a United States senator at the time agreed to fund such a program through his brother, Joseph’s foundation. This initiative would become known as the Kennedy Airlift or Airlift Africa. In September 1960, Wangari was among the three hundred Kenyans chosen to study at American universities. Wangari majored in biology and her minors were in chemistry and German. After she received her bachelor of science degree, was accepted to the University of Pittsburgh where she studied for a master’s degree in biology. Her graduate studies there were funded by the Africa-America Institute and during her time in Pittsburgh, she experienced her first environmental restoration experience when local environmentalists pushed to rid the city of air pollution. In January 1966, she received her Master of Science in Biological Sciences and was appointed to a position as research assistant to a professor of zoology at University College of Nairobi. When Wangari returned to Kenya, she dropped her Christian name. She preferred to be known by her birth name, Wangari Muta. Unfortunately for her, the job she thought she had secured at the university was given to someone else. Wangari believed this happened because of gender and tribal bias. After searching for a job for two months, Professor Reinhold Hofmann, from the University of Giessen in Germany, offered her a job as a research assistant in the microanatomy section of the newly established Department of Veterinary Anatomy in the School of Veterinary Medicine at University College of Nairobi. In April 1966, Wangari met the man she would marry. Mwangi Mathai was another Kenyan who had studied in America. With the encouragement of professor Hofmann, she traveled to the University of Giessen in Germany in pursuit of a doctorate. She studied both at Giessen and the University of Munich. She returned to Nairobi in the spring of 1969 to continue her studies at the University College of Nairobi as an assistant lecturer. In May of the same year, she and Mwangi Mathai got married. While Wangari was pregnant with their first child, Mwangi campaign for a seat in seat in Parliament, narrowly losing. Wangari’s credentials are impressive. In 1971, she became the first Eastern African woman to receive a Ph.D., when she was granted a Doctorate of Anatomy from the University College of Nairobi, which became the University of Nairobi the following year. She completed her dissertation on the development and differentiation of gonads in bovines. She continued to teach at the university, becoming a senior lecturer in Anatomy in 1974, chair of the Department of Veterinary Anatomy in 1976 and associate professor in 1977. She was the first woman appointed to any of these positions in Nairobi. During this time, she campaigned for equal benefits for the women working on the staff of the university, going so far as to attempt to turn the academic staff association of the university into a union, in order to negotiate for benefits. The courts denied this bid, but many of her demands for equal benefits were later met. In addition to her work at the University of Nairobi, Wangari became involved in a number of civic organizations in the early 1970s such as the Nairobi branch of the Kenya Red Cross Society, becoming its director in 1973; a member of the Kenya Association of University Women; establishment of the e in 1974, Maathai was asked to be a member of the local board, eventually becoming the chair of the board of Environment Liaison Centre. The Environment Liaison Centre worked to promote the participation of non-governmental organizations in the work of the United Nations Environment Programme (UNEP), whose headquarters was established in Nairobi following the United Nations Conference on the Human Environment held in Stockholm in 1972. Wangair joined the National Council of Women of Kenya (NCWK). Her work at these various volunteer associations made it clear to Wangari that the root of most of Kenya’s problems was environmental degradation. While Wangari was pregnant with their third child, her husband campaigned again for a seat in Parliament, hoping to represent the Lang’ata constituency, and this time he won. During the course of his campaign, he had promised to find jobs to limit the rising unemployment in Kenya. These promises led Maathai to connect her ideas of environmental restoration to providing jobs for the unemployed, and led to the founding of Envirocare Ltd., a business that involved the planting trees to conserve the environment, involving ordinary people in the process. This led to the planting of her first tree nursery, collocated with a government tree nursery in Karura Forest. Envirocare ran into multiple problems, primarily dealing with funding. The project failed, however, through conversations concerning Envirocare and her work at the Environment Liaison Centre, UNEP made it possible to send Maathai to the first UN conference on human settlements, known as Habitat I, in June 1976. In 1977, Wangari spoke to the NCWK concerning her attendance at Habitat I. She proposed further tree planting, which the council supported. On 5 June 1977, marking World Environment Day, the NCWK marched in a procession from Kenyatta International Conference Centre in downtown Nairobi to Kamukunji park on the outskirts of the city where they planted seven trees in honor of historical community leaders. This was the first “Green Belt” which was first known as the “Save the Land Harambee” and then became the Green Belt Movement. Wangari encouraged the women of Kenya to plant tree nurseries throughout the country, searching nearby forests for seeds to grow trees native to the area. She agreed to pay the women a small stipend for each seedling which was later planted elsewhere. It is unfortunate that Wangari’s marriage ended and in a bad way. Her husband left her in 1977. After a lengthy separation, he sued for divorce, saying she was too strong-minded for a woman and that he was unable to control her. He publicly accused her of adultery with another Member of Parliament, causing his high blood pressure, and of being cruel. The judge in the divorce case agreed with Wangari’s husband. In an interview, Wangari accused the judge of incompetence or corruption and this angered him. As a result, she was charged with contempt of court, found guilty, and sentenced to six months in jail. Three days later she was released from Lang’ata Women’s Prison in Nairobi, after her lawyer formulated a statement which the court found sufficient for her release. The divorce was costly and with lawyers’ fees and the loss of her husband’s income, Wangari found it difficult to provide for herself and her three children on her university wages alone. An opportunity arose to work for the Economic Commission for Africa through the United Nations Development Programme. However this job required extended travel throughout Africa and was based primarily in Lusaka, Zambia and Wangari was unable to bring her children with her. She chose to send them to their father and take the job whom they lived until 1985. During that time, she visited them regularly. Wangari’s activism made her unpopular with the Kenyan government. When she learned of the plan to construct the 60-story Kenya Times Media Trust Complex in Uhuru Park would house the headquarters of KANU, the Kenya Times newspaper, a trading center, offices, an auditorium, galleries, shopping malls, include parking space for two thousand cars and a large statue of President arap Moi, she sprung into action. She wrote many letters in protest: to the Kenya Times, the Office of the President, the Nairobi city commission, the provincial commissioner, the minister for environment and natural resources, the executive directors of UNEP and the Environment Liaison Centre International, the executive director of the UN Educational, Scientific and Cultural Organization (UNESCO), the ministry of public works, and the permanent secretary in the department of international security and administration. She also wrote to Sir John Johnson, the British high commissioner in Nairobi, urging him to intervene with Robert Maxwell, a major shareholder in the project, equating the construction of a tower in Uhuru Park to such construction in Hyde Park or Central Park and maintaining that it could not be tolerated. The government refused to respond to her inquiries and protests, choosing instead to respond through the media and claimed that Maathai was “a crazy woman”. They denied that the project in Uhuru Park would take more than a small portion of public park land, and declared that the project as a “fine and magnificent work of architecture” opposed by only the “ignorant few.” Wangari’s letters drew outrage from Parliament who complained of her letters to foreign organizations and called the Green Belt Movement a bogus organization and its members “a bunch of divorcees”. They suggested that if Maathai was so comfortable writing to Europeans, perhaps she should go live in Europe. During a speech in Uhuru Park, celebrating independence from the British, President Moi suggested Maathai be a proper woman in the African tradition and respect men and be quiet. She was forced by the government to vacate her office, and the Green Belt Movement was moved into her home. The government then audited the Green Belt Movement in an apparent attempt to shut it down. However, foreign investors scrapped the project and it’s ironic that this was due not only to Wangari’s protests but to the government’s response and the media coverage. Wangari and the government butted heads following the cancelled Uhuru Park project. She was arrested along with other pro-democracy activists, charged with spreading malicious rumors, sedition and treason. The charges were dropped after a variety of international organizations and eight senators, including Al Gore and Edward M. Kennedy put pressure on the government of Kenya to substantiate the charges against the pro-democracy activists or risk damaging relations with the United States. In 1992, Wangari and others went on a hunger strike in a corner of Uruhu Park, which they called Freedom Corner, to pressure the government to release political prisoners. After four days, the police forcibly removed the protesters. Wangari and others three other people were knocked unconscious by the police and hospitalized. President Daniel arap Moi called her “a mad woman” who is “a threat to the order and security of the country”. The attack drew international criticism. The US State Department said it was “deeply concerned” by the violence and by the forcible removal of the hunger strikers. When the political prisoners were not released, the protestors, mostly mothers of those in prison, moved their protest to All Saints Cathedral, the seat of the Anglican Archbishop in Kenya, across from Uhuru Park. The protest there continued, with Maathai contributing frequently, until early 1993, when the prisoners were finally released. 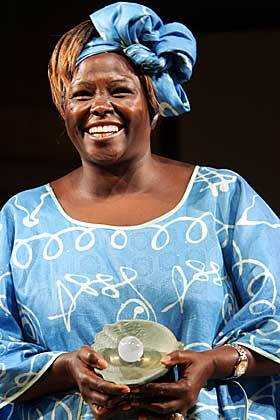 Wangari received various international awards but the Kenyan government did not appreciate her work. We salute this remarkable woman who was not afraid to stand up for what she believed in. She did not allow the government to intimidate her. She refused to be “a proper woman in the African tradition and respect men and be quiet”. She will be missed by many who were inspired by her courage and vision. A state funeral will be held for Wangari in Nairobi. The east African country declared Thursday and Friday national days of mourning in honour of the woman who fought to defend women’s rights and protect the country’s environment. No one is more deserving of this honor than Africa’s first woman Nobel peace laureate who endured being whipped, tear-gassed, imprisoned and threatened with death for her devotion to “Africa’s forests and her desire to end the corruption that often spells their destruction” (Reuters). Most of us would agree that life has its ups and downs. Wise King Solomon believed this and reflected on our responses to fluctuating circumstances. In Ecclesiastes, he wrote: “To everything there is a season, a time for every purpose under heaven: . . . a time to weep, and a time to laugh; a time to mourn, and a time to dance” (3:1-4). Solomon’s father, David, was called “a man after [God’s] own heart” (1 Sam. 13:14; Acts 13:22). Yet David’s life illustrates how life is filled with seasons of ups and downs. David wept over his and Bathsheba’s first child who was fatally ill (2 Sam. 12:22). Yet he also wrote songs of praise and joyous laughter (Ps. 126:1-3). With the death of his rebellious son Absalom, David experienced a time of deep mourning (2 Sam. 18:33). And when the ark was brought to Jerusalem, David, in spiritual ecstasy, danced before the Lord (2 Sam. 6:12-15). We do a disservice to ourselves and others when we portray the Christian life as peaceful and happy all the time. Instead, the Bible portrays the believer’s life as consisting of seasons of ups and downs. In what season are you? Whether a time of joy or sadness, each season should motivate us to seek the Lord and trust Him. and bad to draw us to You and help us grow. May we learn to trust You in all seasons of life. Amen. Every season needs faith to get us through it. I watched a program recently about a mother who lost her 11 year old son. It turned out that he was sexually abused and then murdered by his step-mother and her brother. For ten years his mother sought to find out what happened to her son. She wouldn’t rest until she got answers. She said that she had dreams of her son and just knew that she had to find closure. She didn’t give up even though other people might have. During those seasons of sadness, despair, frustration and grief, she held on to her faith in the God whom she knew would see her through these turbulent times. And He did. He brought her justice for the murder of her son and closure. After his murderers were sentenced to life without parole, the dreams of her son stopped. She believed that he was finally resting in peace. She had come through this season of her life with her faith firmly intact. She had her share of ups and downs as the investigation dragged or at times went cold and as she got the runaround. But God was with her during those times in the valley. The sadness of losing her son will always remain and will be especially hard each year as his birthday comes around but the heaviness on her heart is gone and the peace of knowing that those responsible for his death are behind bars for the rest of their lives will fill her heart instead. Seasons come and they go but God will always be there. Whatever you may be going through now, you are not alone. God is going through it with you. There is light at the end of the tunnel. Just keep on keeping on. Don’t be discouraged. Remember God is greater than your trial, situation or problem. My husband always said that this was a nutritional disease. Just recently we learned that there was sugar in his mother’s blood and we were concerned. She has decided that a change of diet would be the best thing for her. One of my co-workers was diagnosed with diabetes a few years ago. Diabetes means that your blood glucose (sugar) is too high. Your blood always has some glucose in it because the body uses glucose for energy; it’s the fuel that keeps you going. But too much glucose in the blood is not good for your health. Your body changes most of the food you eat into glucose. Your blood takes the glucose to the cells throughout your body. The glucose needs insulin to get into the body’s cells. Insulin is a hormone made in the pancreas, an organ near the stomach. The pancreas releases insulin into the blood. Insulin helps the glucose from food get into body cells. If your body does not make enough insulin or the insulin does not work right, the glucose can’t get into the cells, so it stays in the blood. This makes your blood glucose level high, causing you to have diabetes. If not controlled, diabetes can lead to blindness, heart disease, stroke, kidney failure, amputations (having a toe or foot removed, for example), and nerve damage. In women, diabetes can cause problems during pregnancy and make it more likely that your baby will be born with birth defects. Pre-diabetes means your blood glucose is higher than normal but lower than the diabetes range. It also means you are at risk of getting type 2 diabetes and heart disease. There is good news though: You can reduce the risk of getting diabetes and even return to normal blood glucose levels with modest weight loss and moderate physical activity. If you are told you have pre-diabetes, have your blood glucose checked again in 1 to 2 years. Type 1 diabetes is commonly diagnosed in children and young adults, but it’s a lifelong condition. If you have this type of diabetes, your body does not make insulin, so you must take insulin every day. Treatment for type 1 diabetes includes taking insulin shots or using an insulin pump, making healthy food choices, getting regular physical activity, taking aspirin daily (for many people), and controlling blood pressure and cholesterol levels. Type 2 diabetesis the most common type of diabetes — about 9 out of 10 people with diabetes have type 2 diabetes. You can get type 2 diabetes at any age, even during childhood. In type 2 diabetes, your body makes insulin, but the insulin can’t do its job, so glucose is not getting into the cells. Treatment includes taking medicine, making healthy food choices, getting regular physical activity, taking aspirin daily (for many people), and controlling blood pressure and cholesterol levels. If you have type 2 diabetes, your body generally produces less and less insulin over time. This means that you may need to increase your medications or start using insulin in order to keep your diabetes in good control. Gestational (jess-TAY-shun-ul) diabetes occurs during pregnancy. This type of diabetes occurs in about 1 in 20 pregnancies. During pregnancy your body makes hormones that keep insulin from doing its job. To make up for this, your body makes extra insulin. But in some women this extra insulin is not enough, so they get gestational diabetes. Gestational diabetes usually goes away when the pregnancy is over. Women who have had gestational diabetes are very likely to develop type 2 diabetes later in life. About 24 million Americans have diabetes, about half of whom are women. As many as one quarter do not know they have diabetes. Type 1 diabetes occurs at about the same rate in men and women, but it is more common in Caucasians than in other ethnic groups. Type 2 diabetes is more common in older people, mainly in people who are overweight. It is more common in African-Americans, Hispanic-Americans/Latinos, and American Indians. Type 1 and type 2 diabetes —The exact causes of both types of diabetes are still not known. For both types, genetic factors make it possible for diabetes to develop. But something in the person’s environment is also needed to trigger the onset of diabetes. With type 1 diabetes, those environmental triggers are unknown. With type 2 diabetes, the exact cause is also unknown, but it is clear that excess weight helps trigger the disease. Most people who get type 2 diabetes are overweight. Gestational diabetes — Changing hormones and weight gain are part of a healthy pregnancy, but these changes make it hard for your body to keep up with its need for insulin. When that happens, your body doesn’t get the energy it needs from the foods you eat. Sometimes I worry that I will get diabetes. I don’t exercise as I should. Yesterday I got some as I wandered all over a large shopping mall, looking for a handbag store. I must have burned a lot of calories because I spent almost an hour looking for the store and was starting to believe that it didn’t exist. I eat well. On occasion I treat myself to french fries. I stay away from junk food and sweets. When I was pregnant there was sugar in my blood but everything turned out to be fine afterwards. High blood pressure— 140/90 mmHg or higher. Both numbers are important. If one or both numbers are usually high, you have high blood pressure. If you’re at least 45 years old, you should get tested for diabetes, and then you should be tested again every 3 years. If you’re 45 or older and overweight (Calculate your Body Mass Index ) you may want to get tested more often. If you’re younger than 45, overweight, and have one or more of the risk factors listed in “Am I at Risk for Diabetes?” you should get tested now. Ask your doctor for a blood glucose or A1c test. Your doctor will tell you if you have normal blood glucose (blood sugar), pre-diabetes, or diabetes. Follow your meal plan— Eat lots of whole grain foods, fruits, and vegetables. Test your blood glucose — Keep track of your blood glucose levels and talk to your doctor about ways to keep your levels on target. 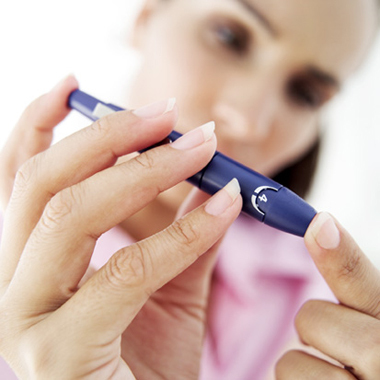 Many women report that their blood glucose levels go up or down around their period. If you’re going through menopause, you might also notice your blood glucose levels going up and down. Take your diabetes medicine exactly as your doctor tells you. 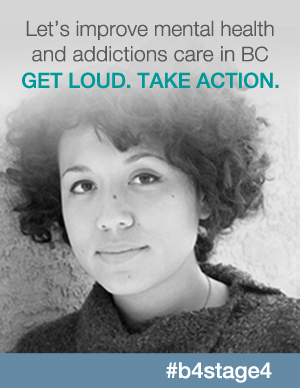 Find out from your doctor what other things you can do to take good care of yourself. If you have gestational diabetes, don’t worry. Many women with gestational diabetes have had healthy babies. You can keep it in check by limiting your sweets; eating often – three small meals and one to three snacks every day; watching the amounts of carbohydrates you eat and eating lots of whole grain foods, fruits and vegetables. Simply follow the meal plan a dietician or diabetes educator helped you to put together for you and your baby and you will be fine. Ladies, start taking care of your diabetes so that you can help prevent serious problems with your eyes, kidneys, nerves, gums and teeth, and blood vessels. Don’t let diabetes control you, you control it! And for the rest of us who don’t have diabetes, we need to start eating right and exercising more. Just recently I got the following message in an email about Jane Goodall who is celebrating a very special anniversary. Your signatures will be hand-delivered to Jane Goodall on September 27th during the Jane Goodall Live event in hundreds of movie theaters. Tickets can be purchased via the thank you email you’ll receive after signing. In 1977, Jane established the Jane Goodall Institute, which is now a model for community-based conservation and development programs in Africa. Its youth-oriented program, Jane Goodall’s Roots & Shoots, started in 1991 with a group of 16 teenagers, has since grown to nearly 150,000 young people in 120 countries. Jane Goodall is considered to be the world’s foremost expert on chimpanzees, and is best known for her 45-year study of social and family interactions of wild chimpanzees in Gombe Stream National Park, Tanzania. Jane Goodall was born in London, England in 1934 to Mortimer Herbert Morris-Goodall, a businessman, and Margaret Myfanwe Joseph, a novelist who wrote under the name Vanne Morris-Goodall. As a child Jane was given a lifelike chimpanzee toy named Jubilee by her father; her fondness for the toy started her early love of animals. Today, the toy still sits on her dresser in London. In her book, Reason For Hope, she muses, “My mother’s friends were horrified by this toy, thinking it would frighten me and give me nightmares.” Of the apes, I like the chimpanzees the best. They are cute, smart and funny. Jane’s passion for animals and Africa led her to a friend’s farm in Kenya’s highlands in 1957. There she worked as a secretary, and acting on her friend’s advice she telephoned Louis Leakey, a Kenyan archaeologist and paleontologist to make an appointment to discuss animals. Leakey believed that the study of existing great apes could provide indications of the behaviour of early hominids and was looking for a chimpanzee researcher, an idea which he kept to himself. Instead, he proposed that Jane work for him as a secretary and then after obtaining his wife Mary Leakey’s approval, he sent Jane to Olduvai Gorge in Tanzania, where he laid out his plans. A year later, Leakey sent Jane to London to study primate behavior with Osman Hill and primate anatomy with John Napier. Leakey raised funds, and on 14 July 1960 Jane went to Gombe Stream National Park becoming the first of “Leakey’s Angels”. She was accompanied by her mother. Leakey arranged funding and in 1962 sent Jane to Cambridge University even though she didn’t have a degree. At Cambridge, she obtained a Ph.D degree in Ethology. She became the eighth person to be allowed to study for a Ph.D without a BA or B.Sc degree. 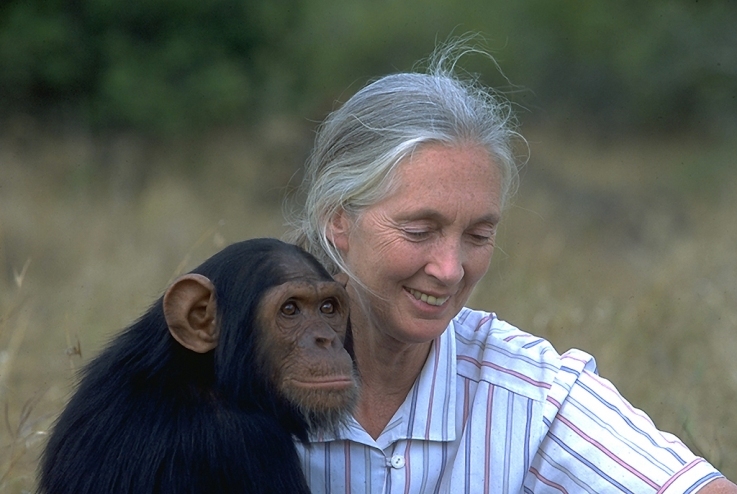 She completed her thesis in 1965 under the tutorship of Robert Hinde, former master of St. John’s College, Cambridge, titled “Behavior of the Free-Ranging Chimpanzee,” detailing her first five years of study at the Gombe Reserve. Jane was married twice. Her first husband a Dutch nobleman, wildlife photographer Baron Hugo van Lawick. During their marriage she became known as Baroness Jane van Lawick-Goodall. The couple had a son, Hugo Eric Louis, affectionately known as “Grub,” who was born in 1967. The couple divorced in 1974. A year later Jane married Derek Bryceson, a member of Tanzania’s parliament and the director of the country’s national parks. He died of cancer in October 1980. His position in the Tanzanian government as head of the country’s national park system enabled him to protect Jane’s research project and implement an embargo on tourism at Gombe while he was alive. Jane has had her share of criticism. 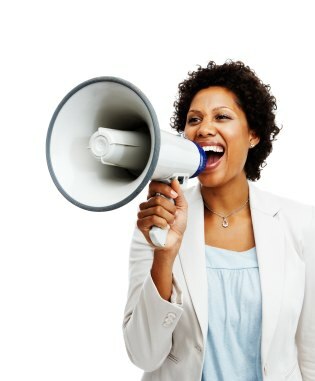 There are suggestions that her methodology is flawed which calls into question the validity of her observations. She has used unconventional practices in her study, for example, naming individuals instead of numbering them. At the time numbering was used to prevent emotional attachment and loss of objectivity. Claiming to see individuality and emotion in chimpanzees, she was accused of “that worst of ethological sins”, anthropomorphism. On the flip side, Jane has received many honors for her environmental and humanitarian work, as well as others. She was named a Dame Commander of the Order of the British Empire in a ceremony held in Buckingham Palace in 2004. In April 2002, Secretary-General Kofi Annan named Goodall a United Nations Messenger of Peace. Her other honors include the Tyler Prize for Environmental Achievement, the French Legion of Honor, Medal of Tanzania, Japan’s prestigious Kyoto Prize, the Benjamin Franklin Medal in Life Science, the Gandhi-King Award for Nonviolence and the Spanish Prince of Asturias Awards. She is also a member of the advisory board of BBC Wildlife magazine and a patron of Population Matters (formerly the Optimum Population Trust). She has received many tributes, honors, and awards from local governments, schools, institutions, and charities around the world. Today we celebrate this woman who continues to devote virtually all of her time to advocacy on behalf of chimpanzees and the environment, travelling nearly 300 days a year. Chimpanzees have given me so much. The long hours spent with them in the forest have enriched my life beyond measure. What I have learned from them has shaped my understanding of human behavior, of our place in nature.